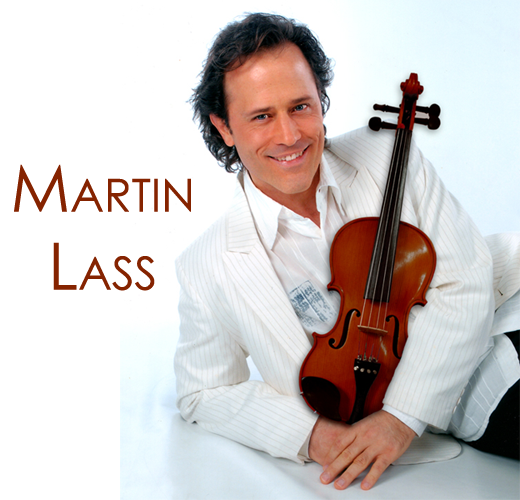 Before Andre Rieu, Vanessa Mae, David Garrett, and all who have come after, there was Martin Lass, already having broken the mold of the usual violin virtuoso, crossing over from a classical background into rock classical, pop, his ancestral gypsy music, love songs, Broadway, country, jazz, and original compositions. Many since have fashioned themselves in Martin’s image, which is a testament to his power and influence as the original crossover violinist, but, in the end, well, there is only one Martin Lass! After classical beginnings—which included playing as principal and soloist with orchestras such as the Sydney Symphony and the world-renowned Australian Chamber Orchestra—Martin blazed onto the popular music scene after blitzing a national television talent show. He went on to win seven consecutive “Mo Awards” for Instrumental Excellence, as well as being awarded “Variety Club Showman of the Year.” He has since performed alongside such varied international stars as Julio Iglesias, Luciano Pavarotti, George Benson, Ronnie Corbett, Olivia Newton-John, and Joan Baez, James Morrison (the trumpeter), and Tommy Emmanuel, as well as having shared his mastery at three Royal Command Performances for the British Royal family. Martin has made more than 200 appearances on Australian Television. He is also a well-known recording artist with 11 CD recordings to his name—including a Gold Album and an Australian “Grammy” nomination—and with releases in Australia, New Zealand, Asia, and the USA. Martin was nominated for the prestigious Manhattan Association of Clubs (MAC) Award for the New York debut of his show: “Songs Without Words”, which also garnered rave reviews from the New York press. Now, from a base on the Gold Coast, Australia, Martin travels the world, sharing his incredible music with rapt audiences everywhere.